Item # 312839 Stash Points: 3,395 (?) This is the number of points you get in The Zumiez Stash for purchasing this item. Stash points are redeemable for exclusive rewards only available to Zumiez Stash members. To redeem your points check out the rewards catalog on thestash.zumiez.com. 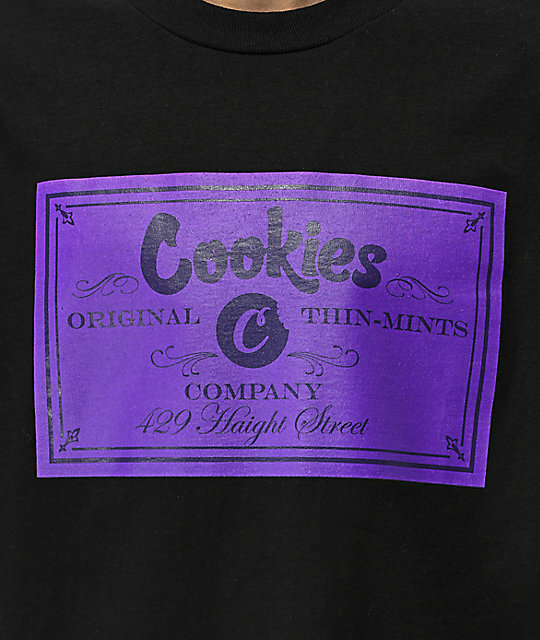 Taking you back to their roots, Cookies presents the Emerald Triangle black t-shirt. 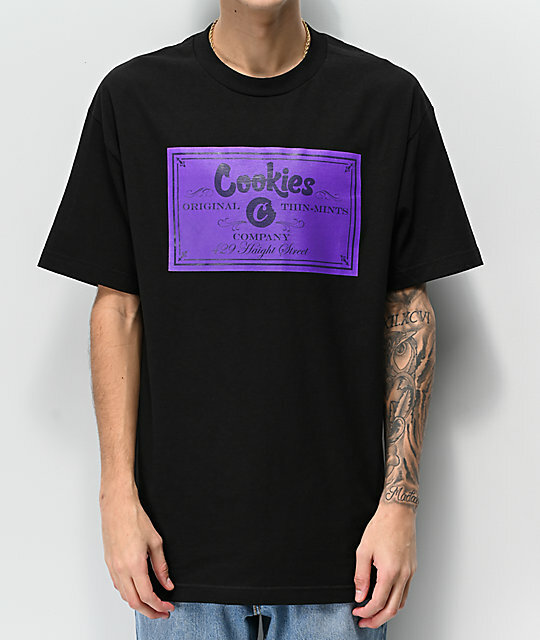 This tee features a large purple rectangle on the front chest with branding and text that reads " Cookies original thin-mints company, 429 Haight Street" for authentic and unique flair. The tagless construction and loose fit make for a comfortable t-shirt you will want to add to your collection. Emerald Triangle Black T-Shirt from Cookies. Screen printed Cookies logo graphic on the center chest.